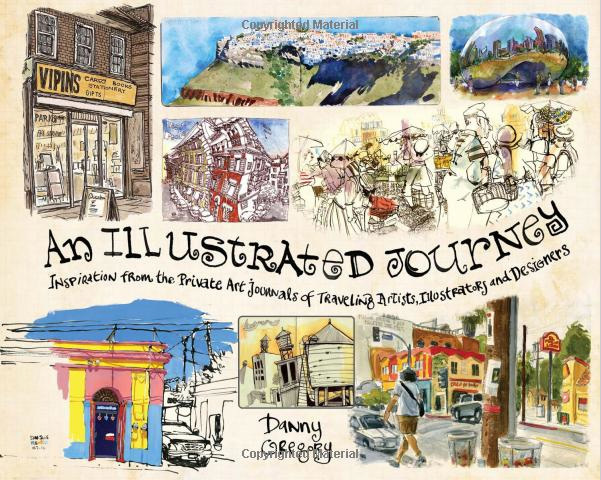 Danny Gregoryâ€™s new book “An Illustrated Journey” will be published late February 2013, and I am excited to be one of the contributing artists. You can pre-order the book on AmazonÂ and all the contributing artists can be seen on Pinterest. I’m a big fan of Danny’s previous book, “An Illustrated Life” which gave me the inspiration to travel and sketch in Greece. (My book can be found here). October 6, 2012 March 29, 2013 Richard SheppardComments are off for this post. Glad to see your wonderful artwork on the cover of Danny Gregory’s new book! I’ve already pre-ordered the book……. Thanks Cathy! I can’t wait to get a copy myself but I’ll just have to wait till February. Hey Richard – I will buy this book – looks great and if the cover is anything to go by full of wonderful work! – Congratulations to you! Thank you Luisa! I haven’t seen any of the interior of the book so I’m very excited to see it too.